Welcome to the Close to My Heart Stamp of the Month Blog Hop for April - featuring the gorgeous stamp set "Blessed". Along this month's Stamp of the Month hop you'll find dozens of fabulous creations using this stamp set - all brought to you by a very talented group of CTMH Consultants! If you've come here from Wendy's Blog, you are on the right path. If this is your first stop on the hop, that will work too (just keep hopping till you get back here again)! To continue along the hop, just follow the link at the end of each post to go to the next site. 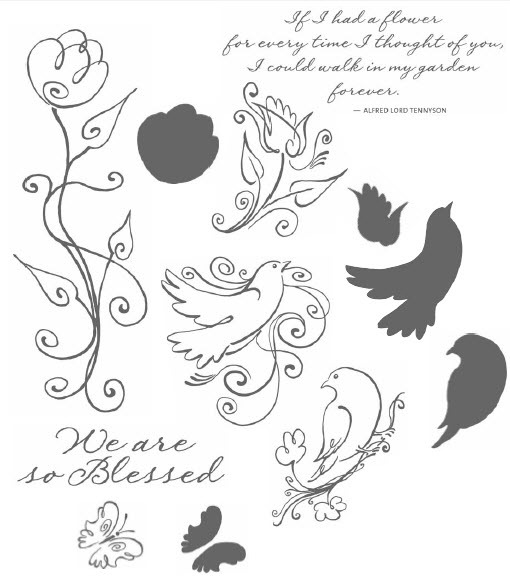 We hope that following the hop will give you lots of inspiration and ideas for using your "Blessed" stamp set, along with the many other great CTMH products you'll see in each post! My creation for you today is a card measuring 5" x 7". I love the "Base & Shade" stamping technique used with this stamp set. One stamp is the outline of the image, and a second stamp is the 'inside' of the image. Simply stamp your base and the shade in two different colors of ink & you already have a coloured image - - no colouring required! It is difficult to tell in the photo, but I have 'pop-dotted' the center sqaure to give further emphasis to the flower. Card design was inspired by the pattern "Center Squares" in the CTMH Originals Card Program book. The "Blessed" stamp set is available from your consultant from April 1st to 30th! You can earn this stamp set at a discount or even FREE with every CTMH order placed in the month of April! Thanks for stopping in!! To continue on the hop, visit Michelle's BLOG to see what she has created for you! Lovely card. Love the touch of Cranberry. Nice card! 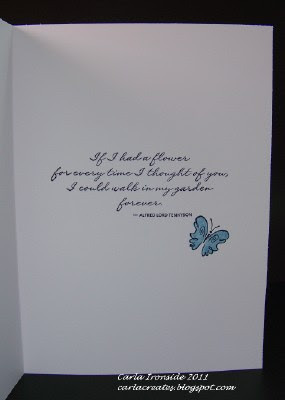 Love how you used the sentiment inside the card, along with a perfectly placed butterfly, too! Very nice! Love the color combo. I never thought about using this with Magnifique, but it is DARLING!! Beautiful card. 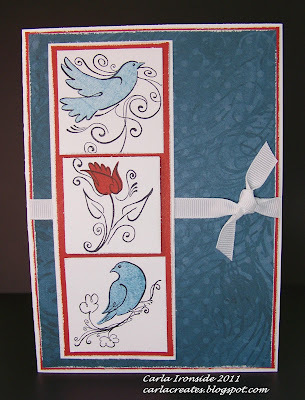 Really love your use of Magnifique - can't get enough of that beautiful paper. Very nice card. 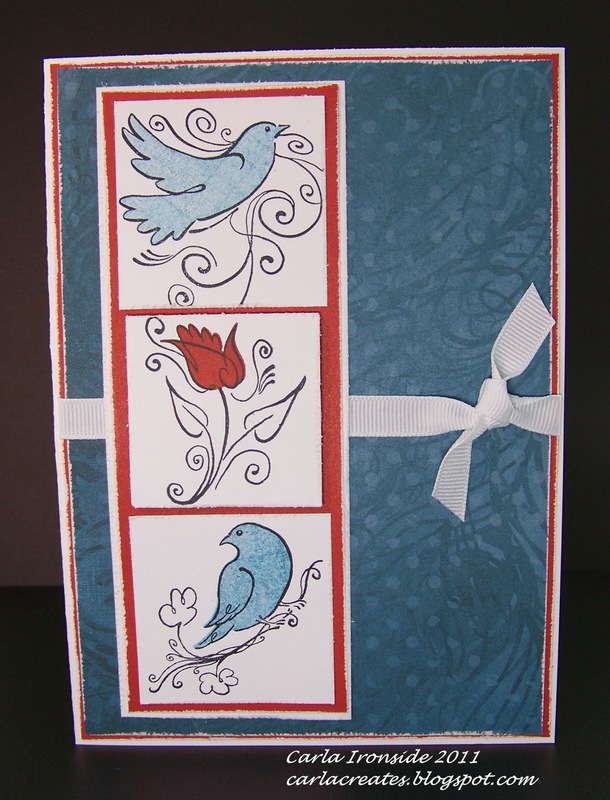 Like the color scheme, and how you finished the inside of the card. The colors you have used look great together. Love the card! Your card is great! I never would have picked tho-se colors with this set, but it looks terrific!